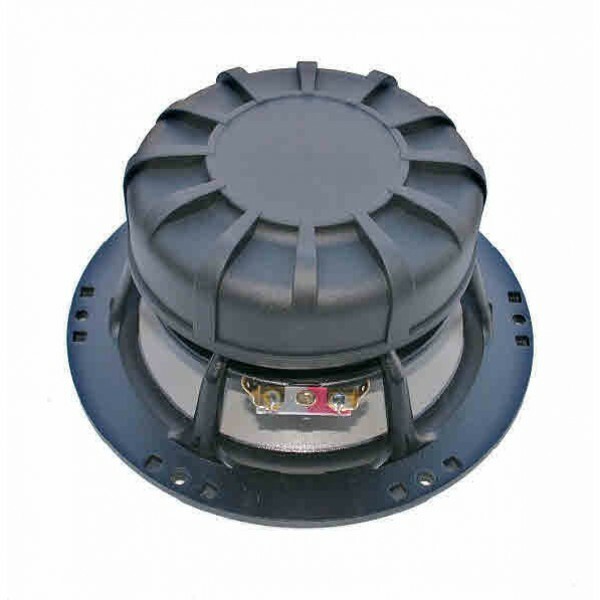 Seas W18EX-RA H1400-04 Woofer is a Seas Excel 6.5" 4 Ohm Woofer especially made for a major OEM manufacturer with a precision cast magnesium cone and natural rubber surround. The large magnet system enables extreme coil excursions, and heavy copper rings mounted above and below the T-shaped pole piece reduce non linear and modulation distortion and increase overload margin. Seas W18EX-RA H1400-04 Woofer is a Seas Excel 6.5" 4 Ohm Woofer especially made for a major OEM manufacturer with a precision cast magnesium cone and natural rubber surround. The large magnet system enables extreme coil excursions, and heavy copper rings mounted above and below the T-shaped pole piece reduce non linear and modulation distortion and increase overload margin.